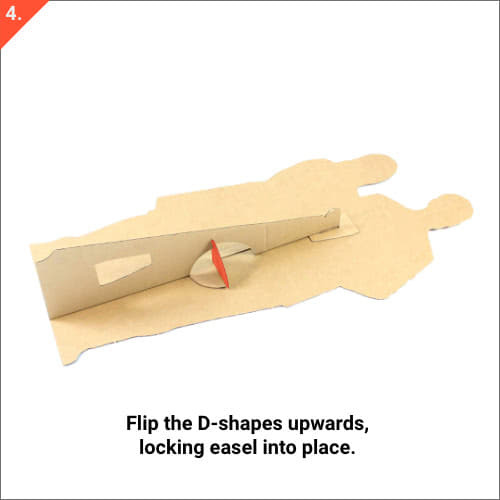 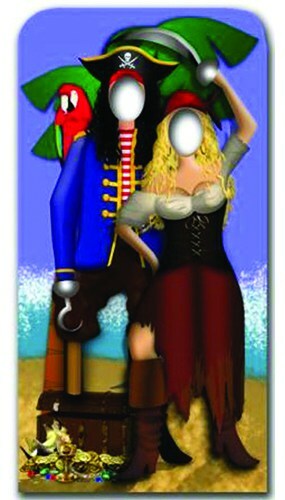 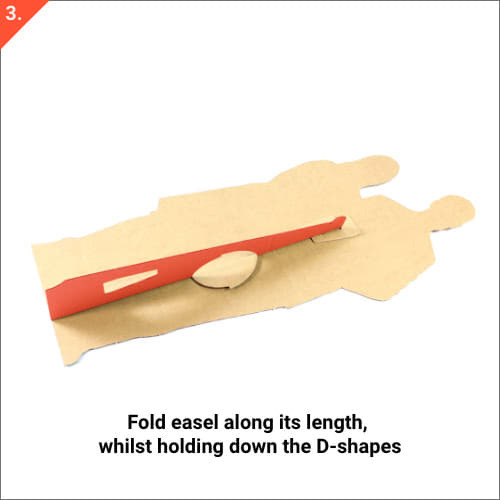 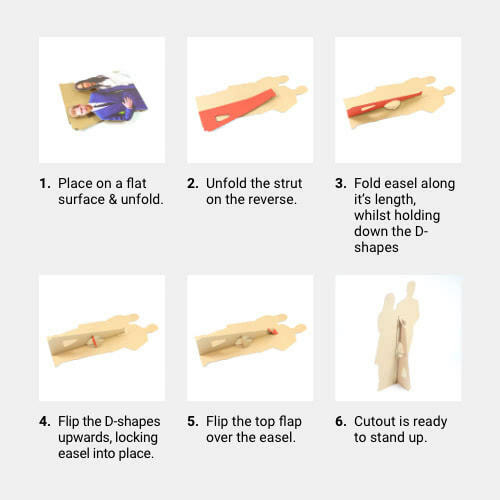 Pirate Couple Stand in Cardboard Cutout Size: 188cm (6 feet) Tall Place your heads through the holes in this fun cut-out and appear as a part of the Pirate theme scene. 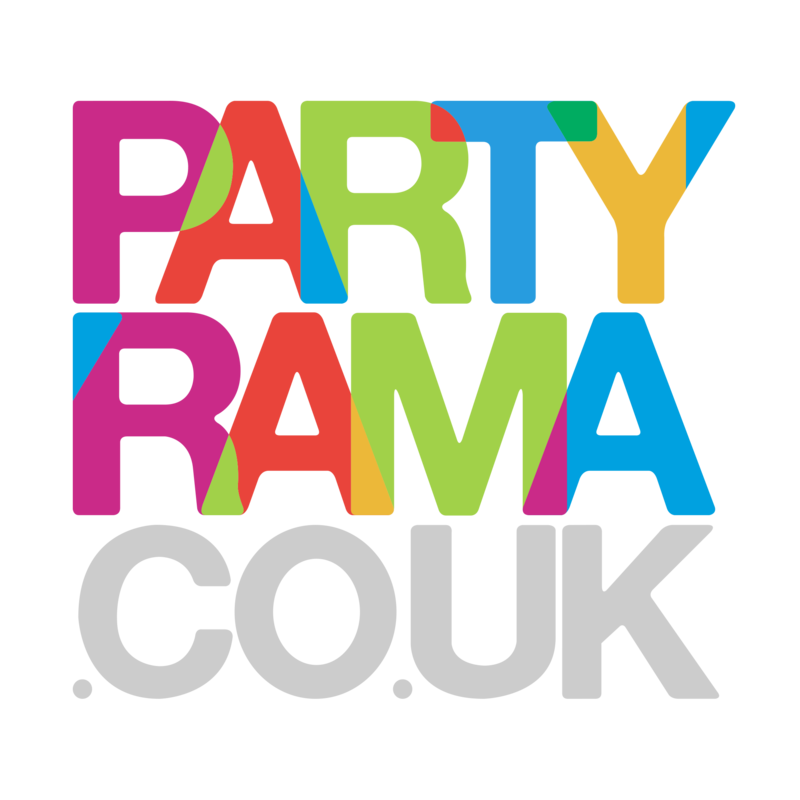 A must for all Pirate parties, to create loads of different pictures. 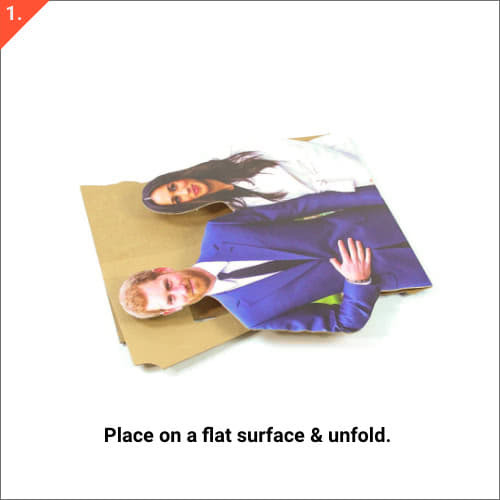 Great keepsake. 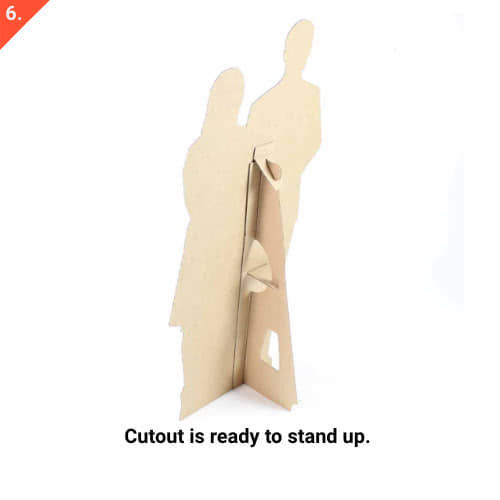 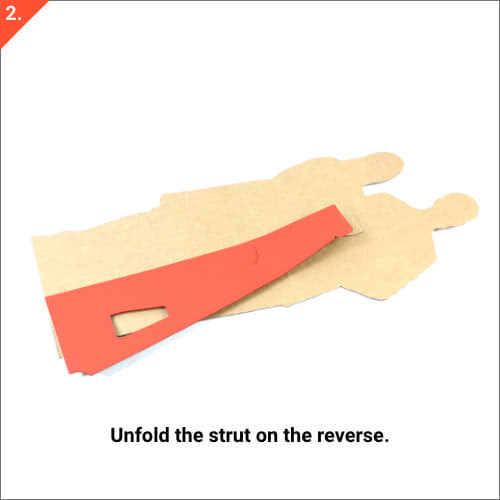 Easy to assemble, this cutout has a fold-out strut to the rear which means it’s entirely self supporting.